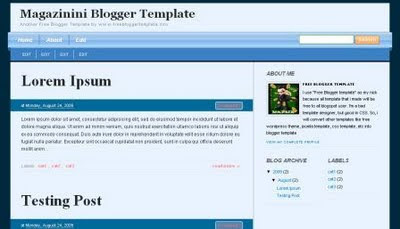 If you are looking for some clean blogger template then magazine blogger template. can be a good option. Dominated blue color, featured with automatic readmore and navigation menu.